Donny King has been cooking in the Hampton Roads area since 1989. A Summer job quickly turned into a full year round occupation. His culinary career got its first jump start when he became Sous Chef of Five-01 City Grill upon its opening in 1992. 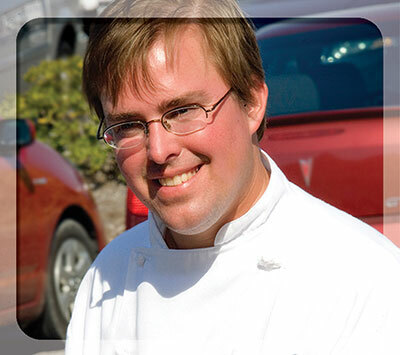 In ’96, Donny moved to the Outer Banks to further expand his career as an Executive Chef. Shortly after arriving on the Outer Banks, Chef King began appealing to a broader audience and received much recognition in magazines as well as on television with his involvement in the downtown Manteo restaurant, 1587. In March of 2002, Donny bought Ocean Boulevard Bistro & Martini Bar, where he is currently the General Manager/Owner and can often be found working in the kitchen and cooking for special events. Donny and his team, Chef de Cuisine Michael Thomas and Sous Chef Tim Gard, have been presented awards at many of the local charities and fundraisers including the 2009 & 2011 March of Dimes Signature Chef Series and the 2009 “Duck in Duck” competition, and quite a few Chowder Cookoffs.